A race for runners, by runners. Tired of paying over a $100 for an over-hyped marathon? Why not run our old-fashioned, small town race. For a reasonable entry fee you'll get a well-organized race through a beautiful national park. You'll start to the BOOM of a civil war cannon firing. Along the course you'll be cheered on by two dancing southern belles and hundreds of deer. At the finish line you'll be offered homemade soup and banana pudding. And of course there's swag: a medal commemorating a state that fought in the civil war, a technical shirt, and a special runner's gift. 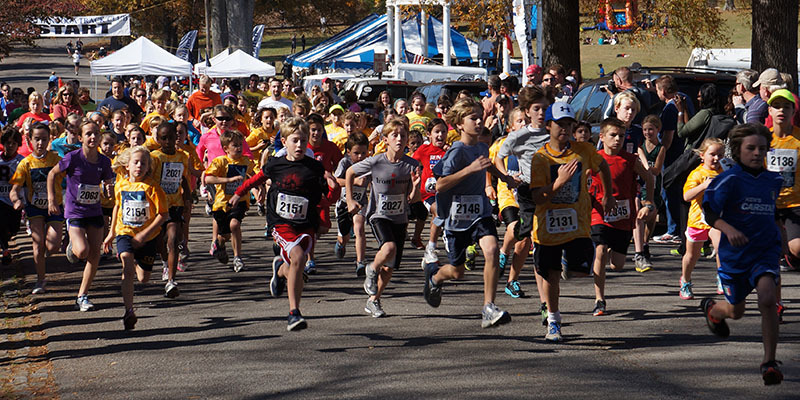 Oh, and did we mention the 1st time finisher awards, the stress free packet pickup and parking, the kids play zone, and the fact we've got a race for everyone in the family: a marathon, a half marathon, a 5k, and a junior marathon for kids. We may not have the big crowds or the jumbo expo, but we have the true spirit and dedication of a hometown race that has been organized by a local, non-profit running club for 38 years. This is a race for runners, by runners. 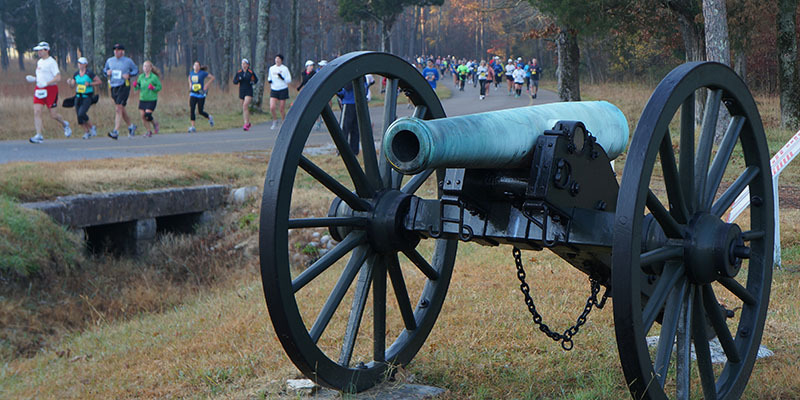 A two lap, 26.2 mile, race through the Chickamauga Battlefield. 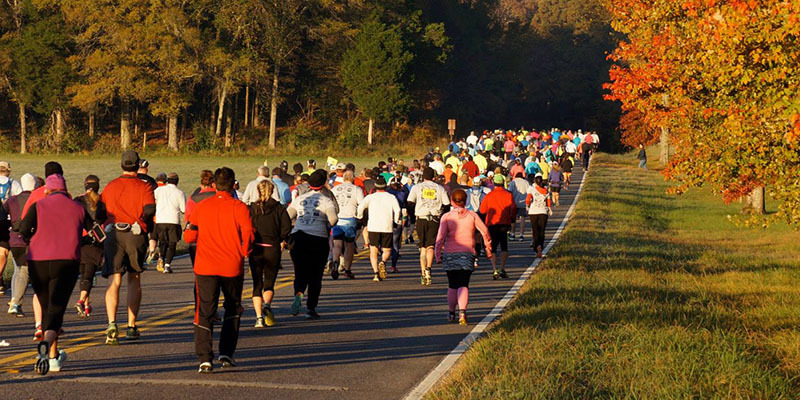 A one lap, 13.1 mile, race through the Chickamauga Battlefield. A marathon, one mile at a time, for children in grades 1st - 6th. 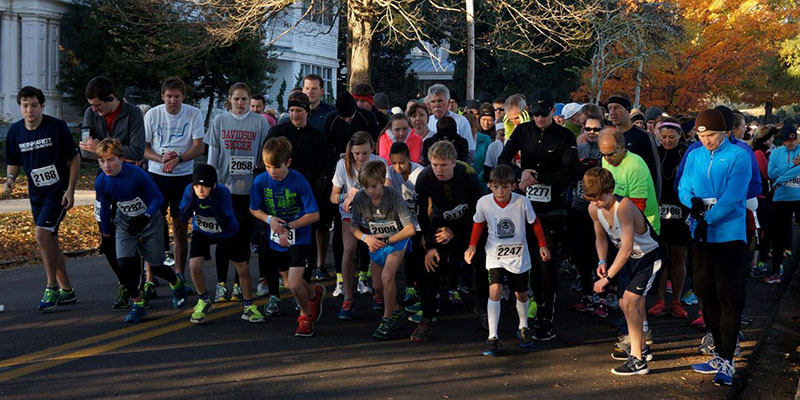 A 3.1 mile race through Fort Oglethrope and the historic Barnhardt circle area.